Amcor and Bemis have entered into a strategic agreement that will see Amcor acquire Bemis in a US$6.8 billion all-stock combination, creating a global leader in consumer packaging. Combining the two complementary companies will create the global leader in consumer packaging, with the footprint, scale and capabilities to drive significant value for shareholders, offer customers and employees the most compelling value proposition in the packaging industry and deliver the most sustainable innovations for the environment. The transaction will be effected at a fixed exchange ratio of 5.1 Amcor shares for each Bemis share, resulting in Amcor and Bemis shareholders owning approximately 71 percent and 29 percent of the combined company, respectively. This is equivalent to a transaction price of US$57.75 per Bemis share based on Amcor’s closing share price of AU$15.28 on August 3, 2018. It represents a premium of 25 percent to Bemis’ closing price of US$46.31 per share as of August 2, 2018. Amcor CEO Ron Delia said: ‘The strategic rationale for this combination and the financial benefits are highly compelling for both Amcor and Bemis shareholders. We are convinced this is the right deal at the right time for both companies, and with the right structure for both sets of shareholders to participate in a unique value creation opportunity. Amcor identified flexible packaging in the Americas as a key growth priority and this transaction delivers a step change in that region. ‘There are an increasing number of opportunities arising for a leading packaging company to capitalize on shifting consumer needs, an evolving customer landscape and the need to provide responsible packaging solutions that protect the environment. With this transaction, Amcor will have a stronger value proposition with the scale, breadth and resources to unlock value from these opportunities, for the benefit of our shareholders, customers and employees. Greater depth of management talent, with a stronger combined team by bringing the significant strengths and quality of the workforce across both companies. 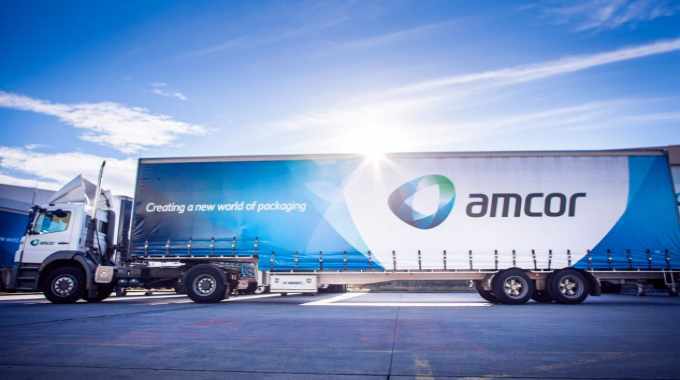 Amcor is to establish a primary listing on the NYSE with an estimated market capitalization of US$17 billion, while maintaining a listing on ASX, with expected index inclusion in both markets. The combination will be effected through a newly created holding company, New Amcor. New Amcor will continue to maintain a critical presence in Wisconsin and other key Bemis locations. The combined company also expects to leverage Bemis’ plant network and innovation center while continuing to invest in the US. New Amcor is further making a US$35,000 contribution to the Bemis Foundation.